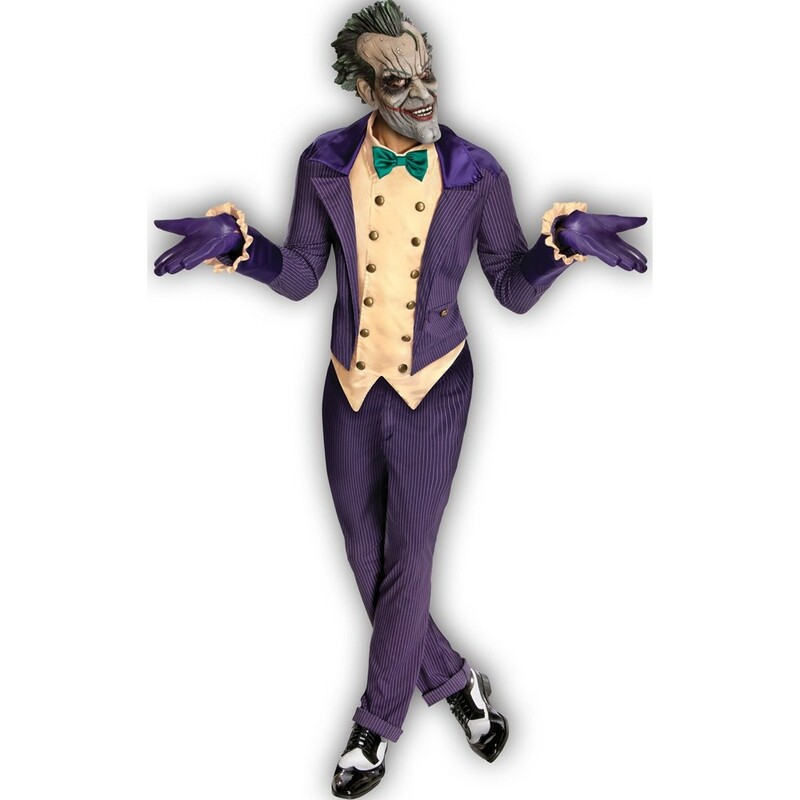 Officially licensed Arkham Joker Costume, perfect for a super villain themed party. Become the clown prince of crime himself with this officially licensed Arkham Joker costume. This Arkham Joker costume recreates the villains look perfectly. Complete with a purple jacket and attached vest, embellished with golden buttons. This Arkham Joker also includes purple gloves, purple trousers and a latex Arkham Joker mask. 1 x Purple Jacket with Attached Vest and Bow Tie, 1 x Pair of Purple Trousers, 1 x Pair of Purple Gloves, 1 x Arkham Joker Mask.